Zombies. They’re everywhere! At least that is what our contemporary cinematic and popular literary market would have us believe. With the current onslaught of zombies on the various platforms of video games, comedy shows, books, film and even spoofed classic literature (for example, the 2009 book Pride and Prejudice and Zombies), the undead have infiltrated our cultural psyche in a way that is rivaled only by the popularity of their more seductive supernatural cousins, the vampires. A few years back, Jack McLain, S.J., wrote a thoughtful piece for this magazine (“A Need to Feed,” 5/17/10 Web only) about the cultural significance of the increasing zombie attacks and mentioned the then-recent publication of Max Brook’s book, World War Z, which was released as a film this summer. While zombies aren’t typically “my thing,” I saw the movie in no small part because of the surprisingly positive review offered by David Denby, The New Yorker’s film critic, who asserted that “‘World War Z’ is the most gratifying action spectacle in years.” Who could pass up that opportunity? To my surprise, the film awakened in me an unexpected interest in the cultural phenomenon of recent zombie popularity. Why was it so pervasive, and why had I succumbed to being bitten by this mythic monster? There has been a good deal of reflection in recent years on the social criticism latent in the zombie genre that is not to be found in some other supernatural or mythical subjects. Some critics have seen a link between society’s obsession with unbridled consumption and a psychoanalytic reading of the zombie as a non-living specter of Freud’s theory of the “death drive” that haunts our collective desire for control and meaning. Theories like this are indeed compelling and helpful; but, being particularly interested in theology and spirituality, I am more drawn to what the cultural obsession with the undead might say about our faith. Classic zombie films, like those by George Romero, typically portray the surviving, non-zombie humans as scrambling to respond to the effects of the zombie attack rather than to address its causes. And the means they use tend to be individualistic and violent. Not only do the zombies reveal us at our worst, but the behavior of the surviving humans does so as well. If we look at the compulsive, consumptive, individualistic and violent aspects of the undead and those who fight them as an allegory for our human sinfulness, the zombie genre might serve as a reminder of what it means to have true life, and have it to the fullest. What makes us “a whole lot like Jesus” is addressing the causes and not just the effects of systemic sin in our world, like poverty or violence; embracing community instead of succumbing to the temptation to care only for ourselves; choosing weakness and humility instead of defending our desire for control, power and security. Zombies can remind us of what lurks deep within ourselves, but stories about resisting them also offer us cautionary tales of how not to be human when trying to overcome our worst selves. There's a big money in zombies and the zombie apocalypse. Credit George Romero, “Resident Evil,” “The Walking Dead” and a number of other popular culture resources for that phenomenon. But the business of zombies and zombie folklore isn't all fun and games. There's a darker side to “zombies” involving mind control narcotics, kidnapping, extortion and mind-numbing weapons engineering that's sure to give even the most skeptical individuals a scare. Thanks for sharing excellent information. Your website is very cool. I'm impressed by the details that you have on this web site. It reveals how nicely you perceive this subject. Bookmarked this web page, will come back for extra articles. This article also appeared in print, under the headline "Faith, Hope and Zombies," in the August 12-19, 2013 issue. 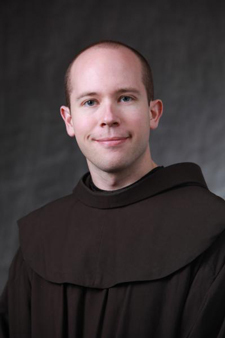 Daniel P. Horan, O.F.M., is the author of several books, including Francis of Assisi and the Future of Faith (2012).